Feral Pigeons (Columba livia) are a major problem in the UK and are common in all towns and cities. They are also found regularly in rural locations, often associated with farm buildings. 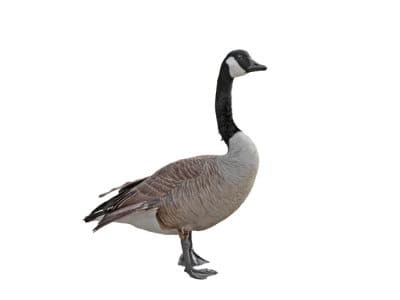 Their close dependence on mankind for their food has lead to them becoming an increasingly serious pest problem. Common Feral Pigeons are 31-34cm in length and weigh 230-560g on average. Colouring can range from pure white, through various combinations to almost pure black. There is no visual difference between sexes. 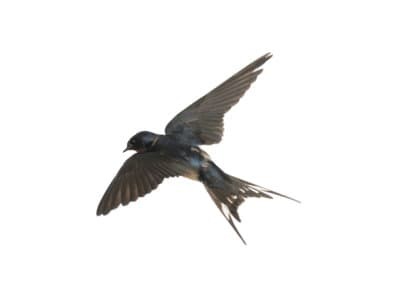 These Pest Birds build their nests in sheltered, protected environments, commonly infesting buildings and other structures. Large numbers of Feral Pigeons (Columba livia) nests are often found on the underside of bridges, within derelict buildings, loft spaces and sheltered ledges of buildings. These areas act as ideal breeding sites and can have significant deposits of bird fouling and nesting materials. Feral Pigeons (Columba livia) live for up to 4 years and breed prolifically, reaching sexual maturity 6 months after birth. 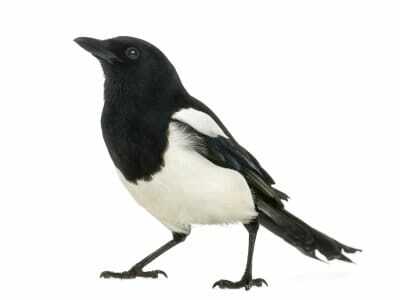 When allowed to breed unchecked, they can produce 7 broods a year, each brood containing between 1 and 3 chicks. 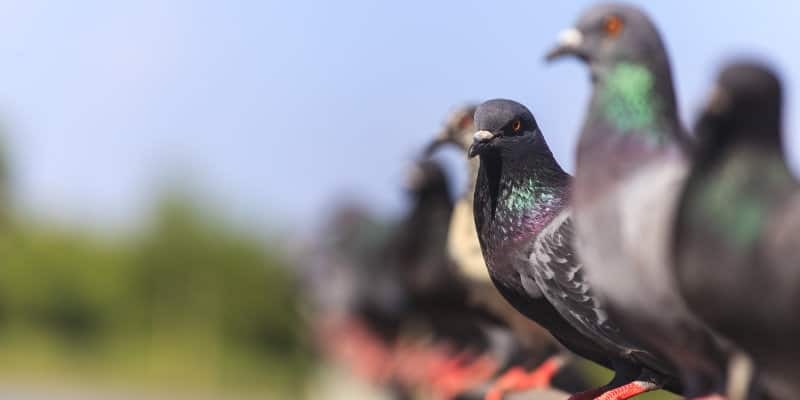 Each bird eats up to 60g per day and produces about 12kg of droppings a year, meaning a feral pigeon infestation can quickly lead to a very severe bird fouling issue. Feral Pigeons can quickly colonise areas, entering loft spaces and derelict buildings via gaps, damaged roofs and unsecured windows. Once they are in deposits of bird fouling build up quickly and can cause major damage. If left for a reasonable length of time this fouling can become layered to several inches thick. 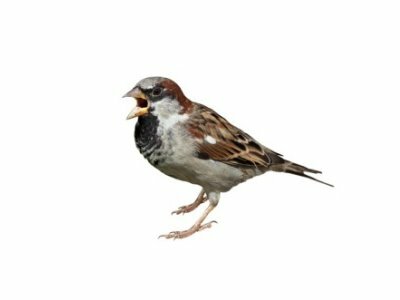 It is of the utmost importance to exclude Pest Birds where possible as the clean-up work resulting from an infestation can be costly. Wherever possible, the best approach to feral pigeon control is to prevent the pest birds from roosting and nesting on a building in the first place. This is because the resultant fouling is highly acidic and it can therefore cause significant damage to the structure of the building. Limestone buildings are particularly susceptible to such harm, so a feral pigeon infestation on such structures should be dealt with as swiftly as possible. 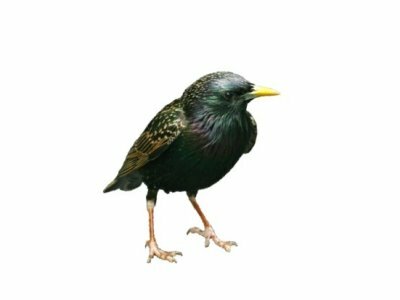 In addition, bird fouling will quickly build up on areas below the roosting sites, which is not only unsightly but can also present a serious slipping hazard. While bird fouling is an issue that needs to be resolved immediately, removal should only be performed by a trained professional. 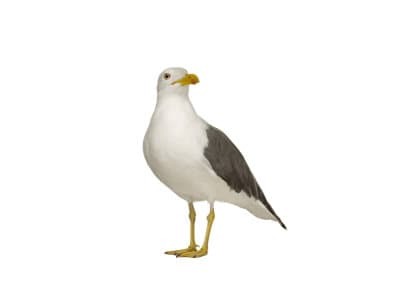 This is because it can harbour bacteria that cause diseases such as Salmonellosis and Ornithosis, and these can easily be transmitted to humans when they scrub away at the guano. 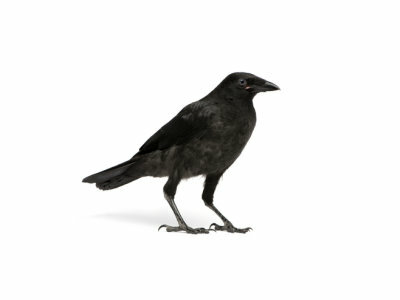 Instead, you should always call in pest control experts to handle a bird fouling issue, as we will be able to carry out the job using the proper safety precautions. Feral pigeons will also seek out any suitable food that they can find. When an infestation takes root inside a building, this means product contamination and public safety concerns are serious risks. Even on the outside, a feral pigeon infestation can cause significant amounts of noise, which are especially troublesome for hotels and hospitals where the inhabitants will have to put up with this incessant cooing all day or night. 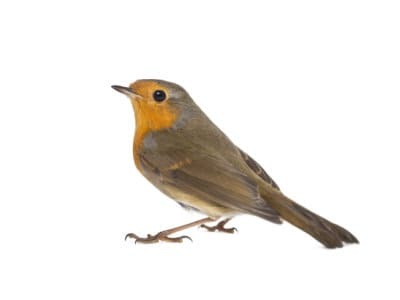 Lastly, many pest bird problems can lead to associated insect infestations, since these insects will feed upon the droppings and debris left behind by the birds. With so many problems that can arise where feral pigeons are concerned, it is clear that such issues need to be dealt with swiftly and effectively- and that is where Pest Solutions can help you. At Pest Solutions our highly trained and knowledgeable team of Pest Control Management service and support staff are ready now to help remove those unwelcome guests. 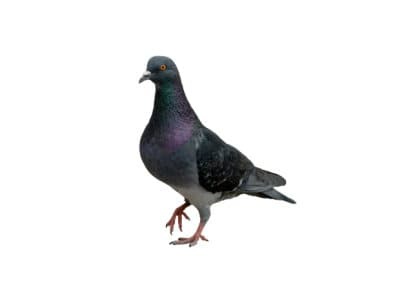 Feral pigeons are a major nuisance, but thanks to our many years of experience and high level of expertise, we can easily tackle even the most major of infestations. Have our techs get rid of that pest problem today. Our local coverage from our regional branch offices ensures that we are able to respond fast so that you can claim back your business or home from those unwelcome visitors. Get in touch with Pest Solutions on 0800 027 2555 today to get a FREE survey or to have a member of our service team solve your pest problem. Alternatively click here to find the details of your local Pest Solutions branch.